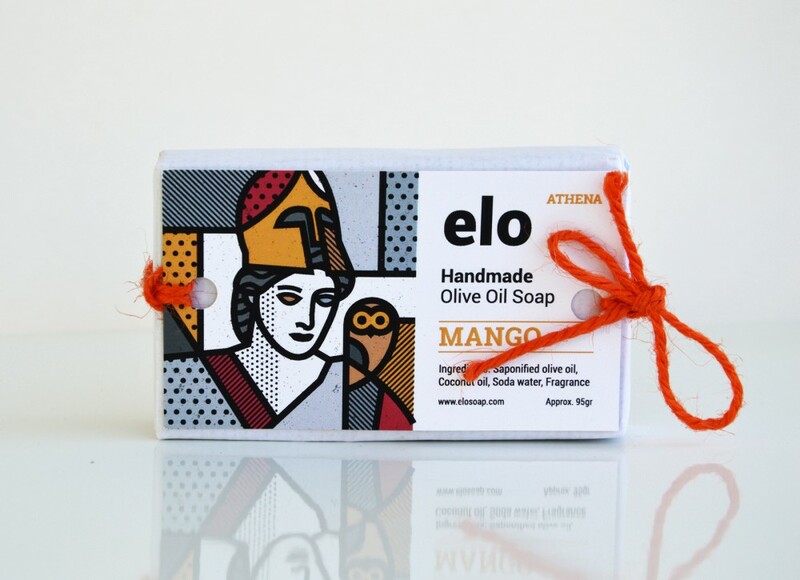 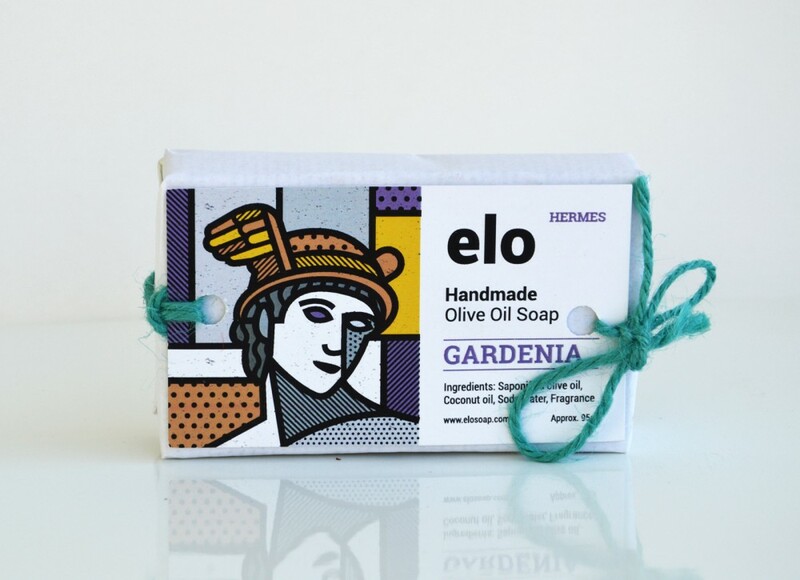 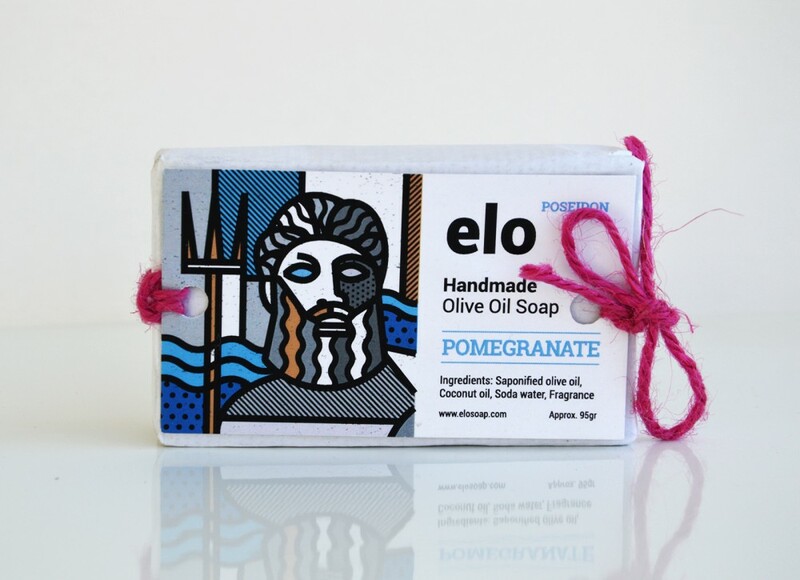 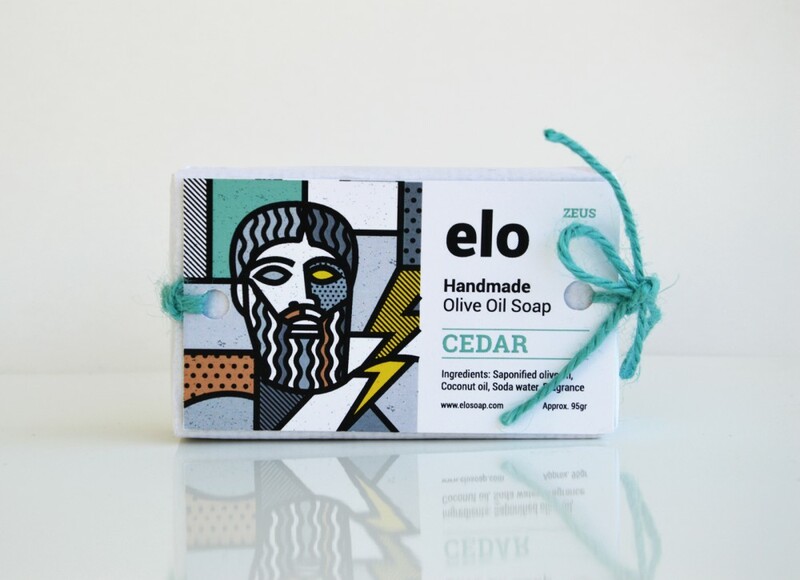 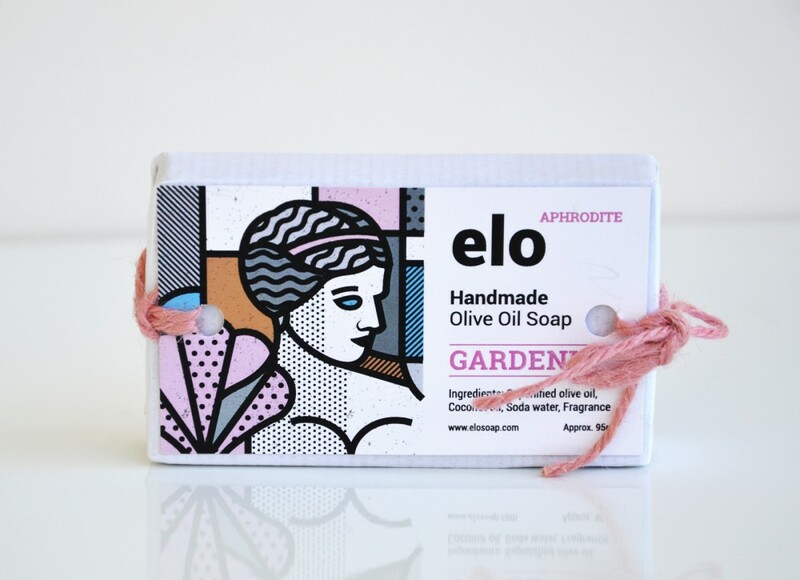 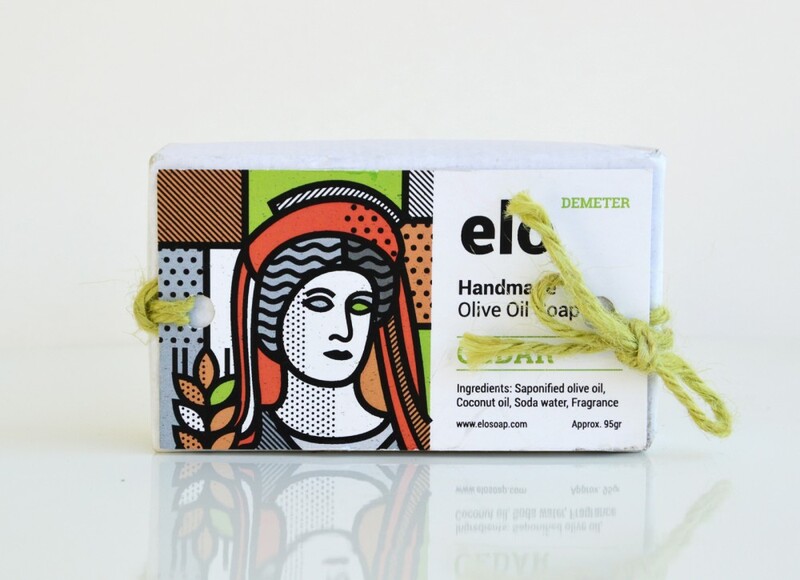 Elo soaps are 100% natural handmade soaps made from pure Greek olive oil. 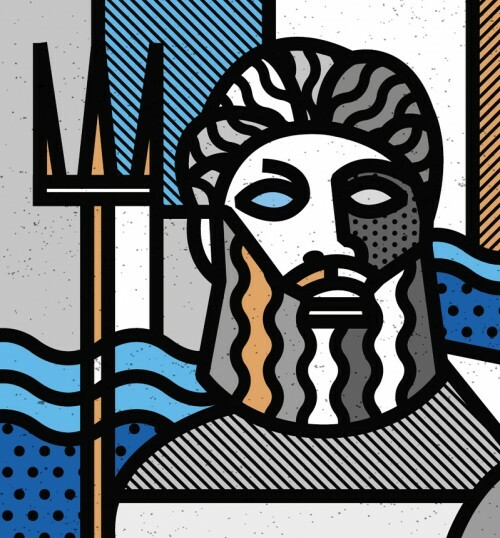 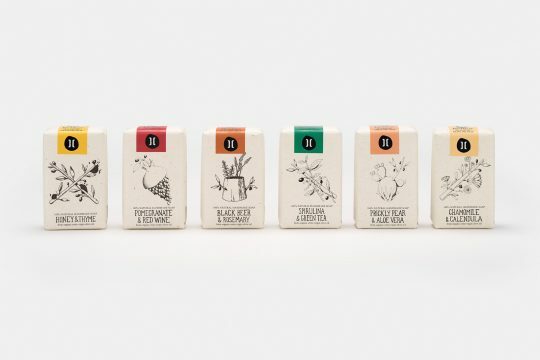 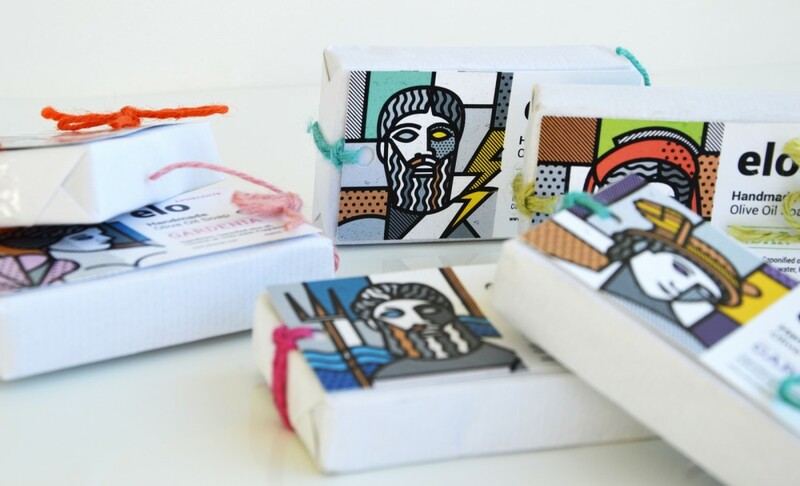 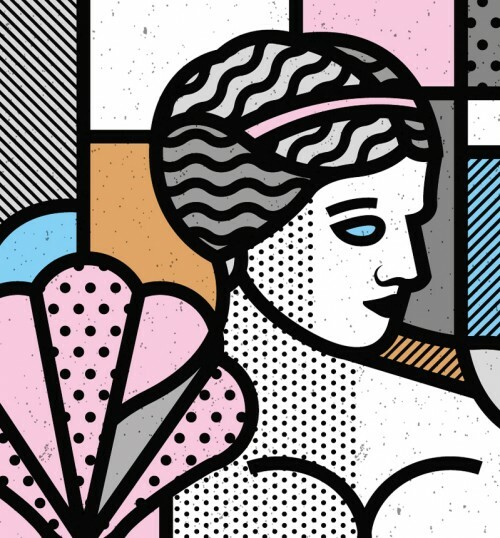 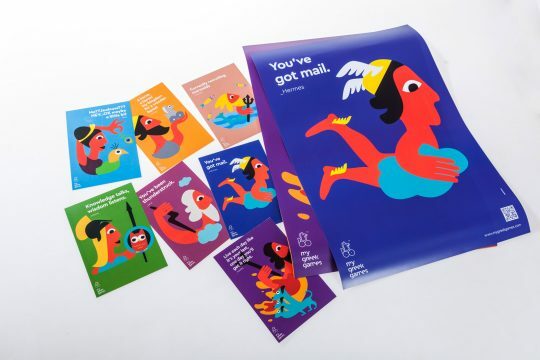 Mike Karolos was asked to make a series of packaging and illustrations of the Greek mythological gods and goddesses for the soaps they provide to Greek gift shops mostly targeted to tourists visiting Greece. 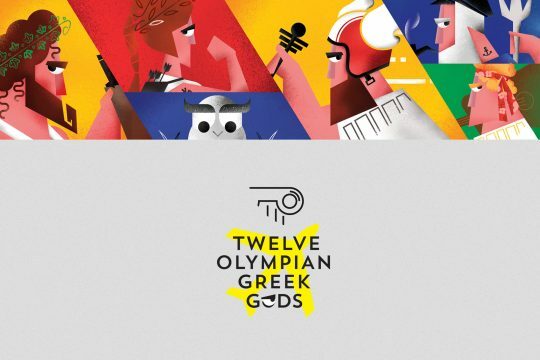 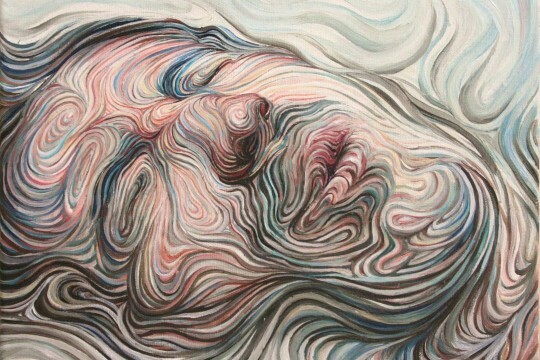 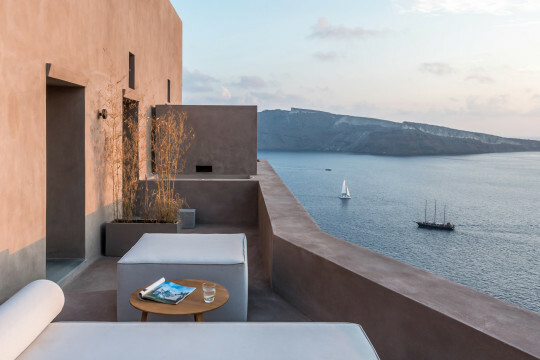 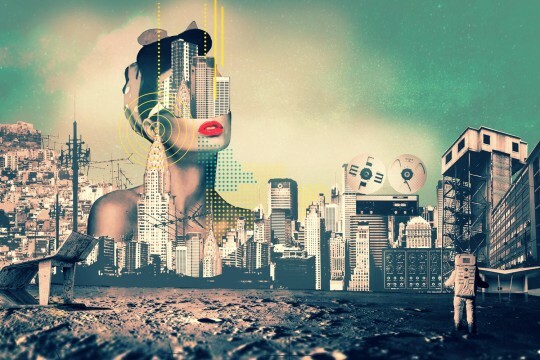 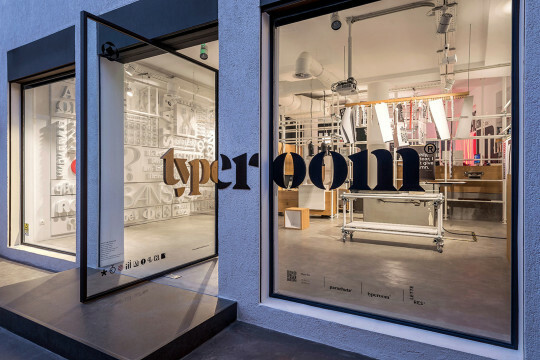 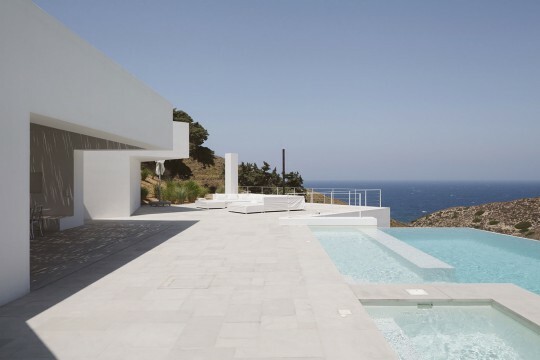 They designed 6 of the 12 main Greek gods, Zeus, Athena, Aphrodite, Demeter, Poseidon & Hermes. 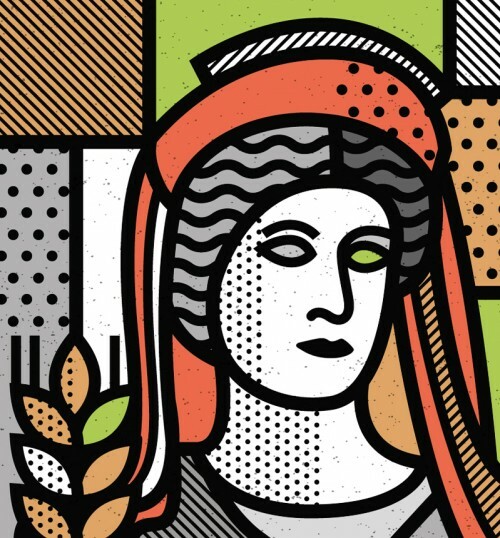 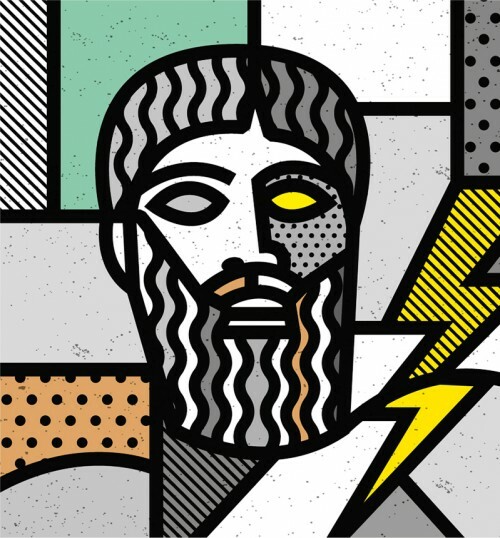 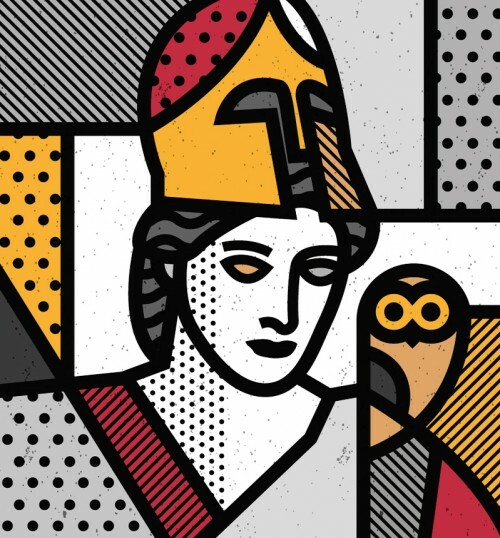 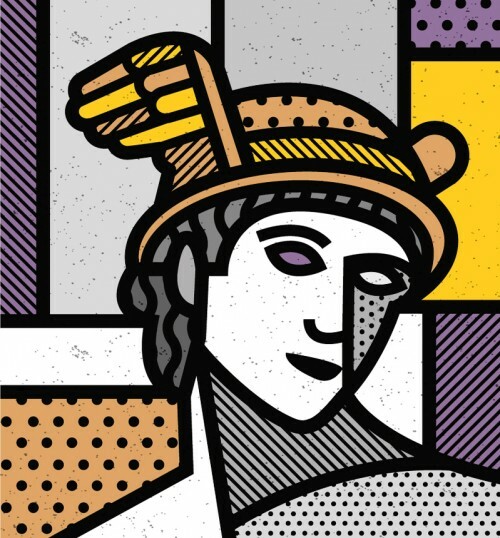 Although the ancient God theme is a very used theme in the Greek gift shop industry, they attempted to make them more modern and fresh by using my geometric pop art style. 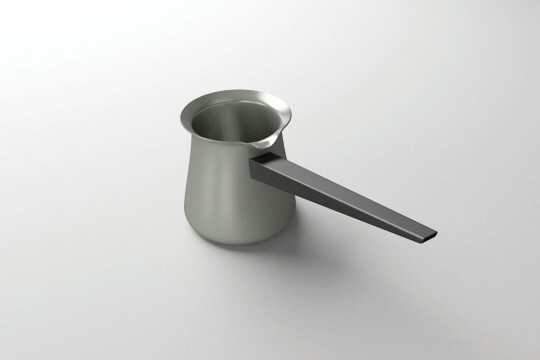 So the result is something different than the usual out there. 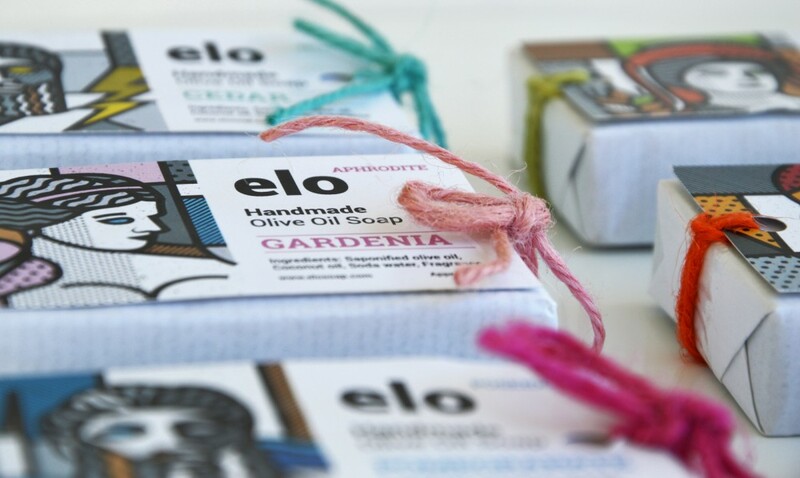 The packaging is very simple made of wrapped paper, a one sided printed card and a colored rope holding it all together.